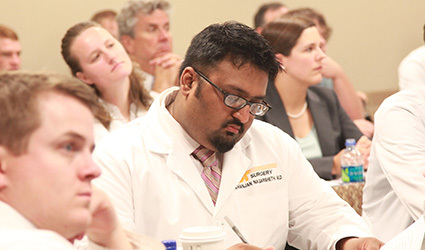 The purpose of the Institutional Foundational Curriculum is to establish a minimum curriculum to ensure each resident receives an introductory foundational educational experience related to general competencies of patient care, medical knowledge, practice-based learning and improvement, interpersonal and communication skills, professionalism, and systems-based practice. The Foundational Curriculum is NOT a substitute for each individual program's curriculum for these general competencies as required by its RRC. To ensure parity among all first year residents as they begin the process of acquiring foundational knowledge, skills, behavior and attitudes in the above competencies. To encourage individual departments to use this foundational educational experience to enhance subsequent specialty-specific education in these competencies as required by its RRC. 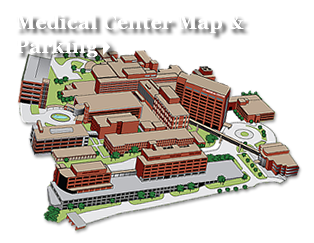 To implement a foundational curriculum with minimal disruption of individual department teaching and service obligations and to comply with Resident Duty Hours Requirements. To facilitate institutional GME re-accreditation. 1. The course is limited to first year residents: a first year resident is defined as the first year at the UT Graduate School of Medicine. 2. The entire course will be given over one and a half days. 4. Each presentation will be limited to 50 minutes with no more than 5- 6 specific foundational learning objectives. Up to 10 minutes will be allowed for interactive questions. 5. If desired, a lecturer can distribute a Supplement Handout to expand the foundational educational experience not included in the oral presentation. 6. Copies of presentation slides will be a required component. 7. A Post-presentation examination and resident survey for each presentation will be administered to assess lecture content and teaching skills of the presenter. Each examination will be limited to no more than 10 key questions. 8. Given the compression of the course, to ensure the fidelity of each examination, a 15-minute examination period will follow each three or four presentations. The examinations are to be turned in on the day administered.